A joint venture between At Security Jessen, Kaba and LEGIC Identsystems AG has produced a solution that will demonstrate how access applications and rights can be loaded over a mobile network onto NFC-enabled phones using a trusted service manager. LEGIC’s new TSM will be focused on identification applications. The service will enable LEGIC customers to load their apps onto smart phones and use them for access rights like hotel room authorization and payment applications. The system will essentially place all the usual functions found on a smart card directly into the NFC-enabled phone or device using a secure chip. As with other LEGIC services, the TSM will feature support for third party RF technologies. 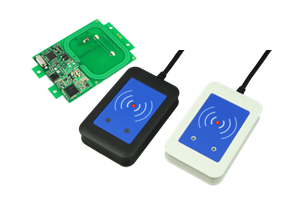 LEGIC’s NFC solution does not require any hardware emulation enabling applications and rights to be stored both on Secure Elements (SE) and SD cards and will work for any USIM regardless of the manufacturer.